A. 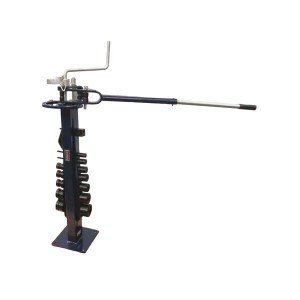 The deluxe quality compact bender will hadle the job with so much versatility . Bend tube, round and flat bar. B. Supplied with 14 round bending dies ranging from 1" to 3", 1 square die, 1 sharp angle die and a work-stop.